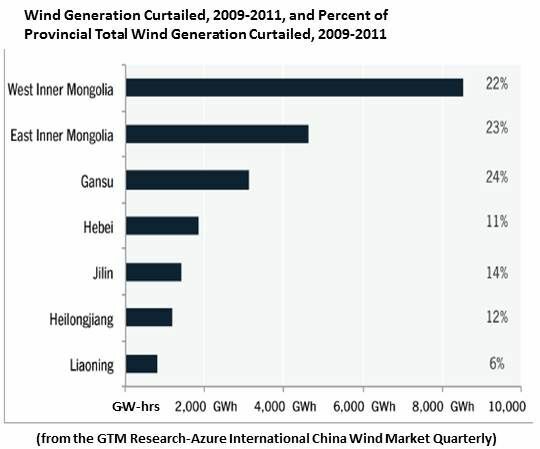 China built 2.9 gigawatts of wind capacity in Q3 2012, according to the just-released GTM Research-Azure International China Wind Market Quarterly, and stands as the global leader in installed wind. 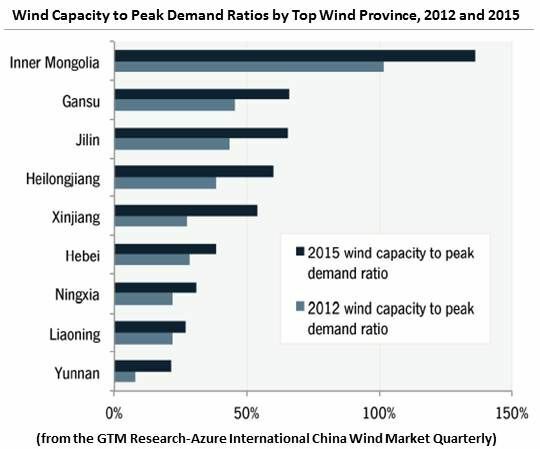 With 9 gigawatts expected to be completed in Q4, China wind should approach 18 gigawatts for the year, its highest annual installation number. That would put it at a cumulative 80 gigawatts of installed wind capacity. But the numbers don’t tell the whole story. 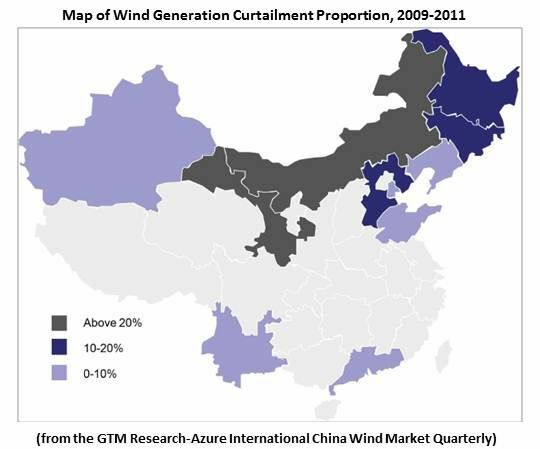 Renewables, largely wind, represented about 26 percent of China's installed electric capacity in 2010, but only 18 percent of its generation and only 9 percent of final energy consumption, reported a recent study of curtailment in China by American Council on Renewable Energy Intern Liz Brody. Part of the cause, Brody said, was the “lower-than-estimated capacity factors" of Chinese wind turbines. But, she found, “the lack of grid connection, the throttling of wind energy, and turbine idling are the primary culprits.” This resulted, Brody’s study found, from policy failures that drove wind installation in remote provinces without drivers for new transmission and interconnection. Newer policies have somewhat rectified the situation, Brody told GTM. This is verified in the Q3 Quarterly, which puts current average curtailment at 16.9 percent. Another, Brody’s study added, is that China’s central energy agencies have limited influence over state-owned grid operators State Grid and Southern Grid. And despite the newest laws, Brody said, incentives remain misaligned. As new President Xi Jinping noted when he and Li Keqiang took office office during the just completed Eighteenth Congress, corruption has been endemic in China. There is optimism that the new President, because he is next generation, has ties to the west, and is market oriented, may do more than pay lip service to fighting corruption. 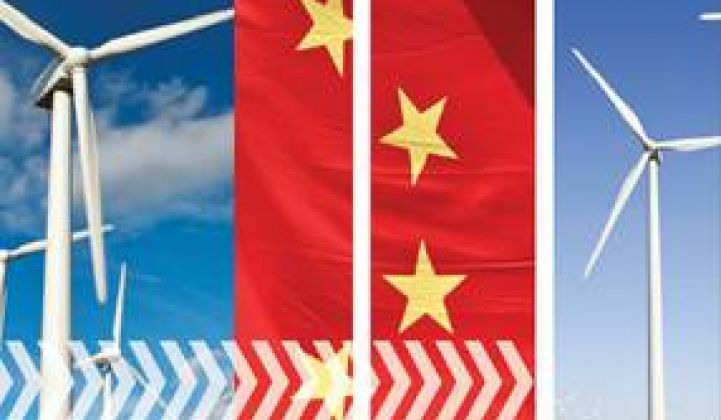 China’s soaring demand for energy and recent history of commitment to renewables, Brody added, fuels the optimism.